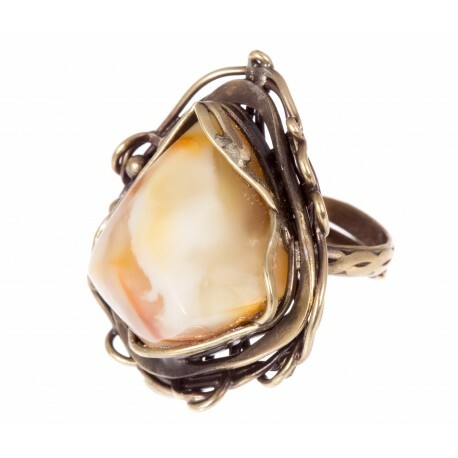 Brass Rings There are 7 products. 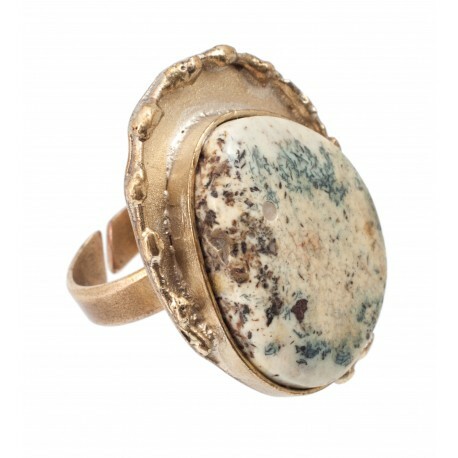 Unique author's handmane brass rings. 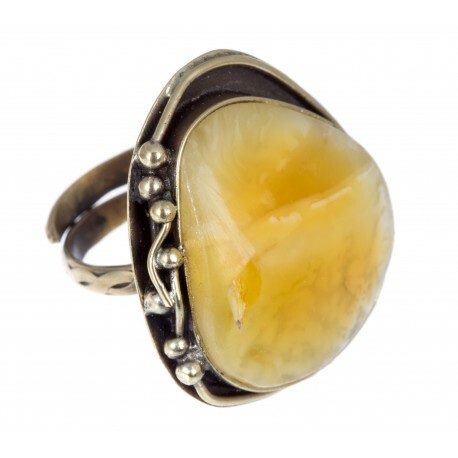 An authentic piece of jewelry bind with light matte amber. 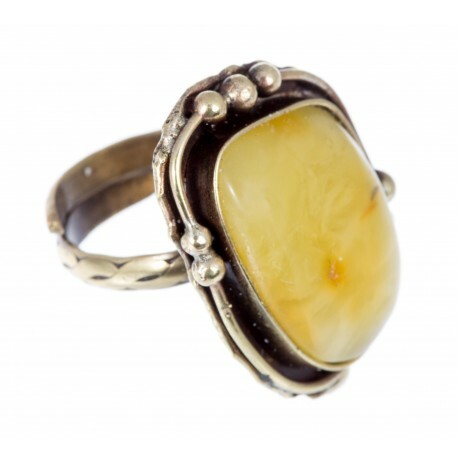 Rings of the adjustable size with the light amber in which the impurities of the very rare - blue - amber can be seen. 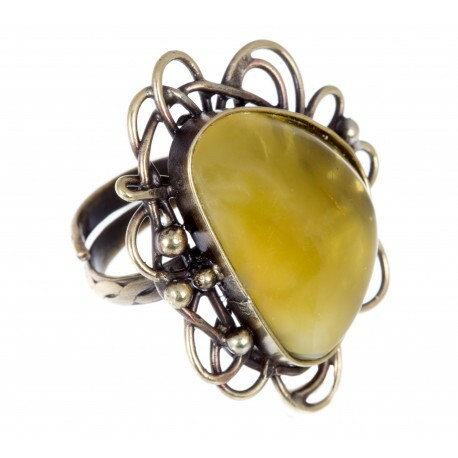 Brass and amber jewelry is one of the most natural jewelry. 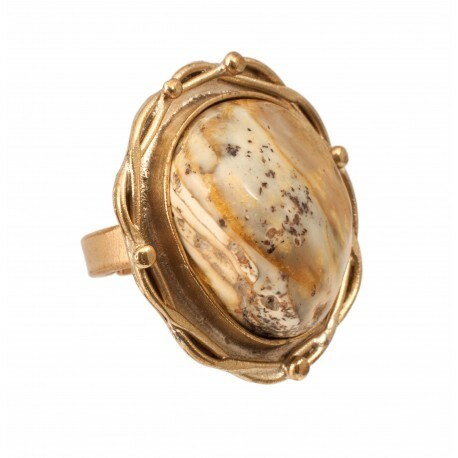 Brass ring with white amber "Alchemy"
An authentic brass ring with the white amber in which the impurities of the yellow and very rare - blue - amber can be seen. 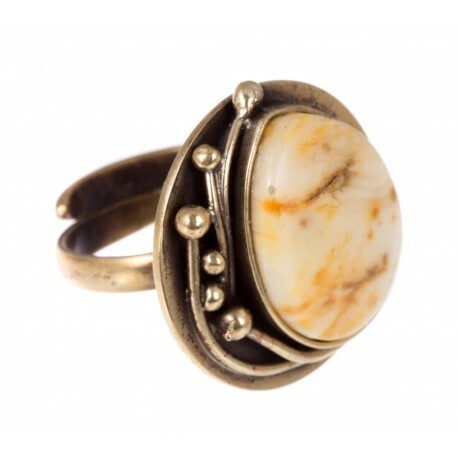 An authentic brass ring of the adjustable size with the white amber in which the impurities of the very rare - blue - amber can be seen.